Glamour on black, the CP CUMA SWAROVSKI Stones makes winter sport more elegant by a handful of precious stones. 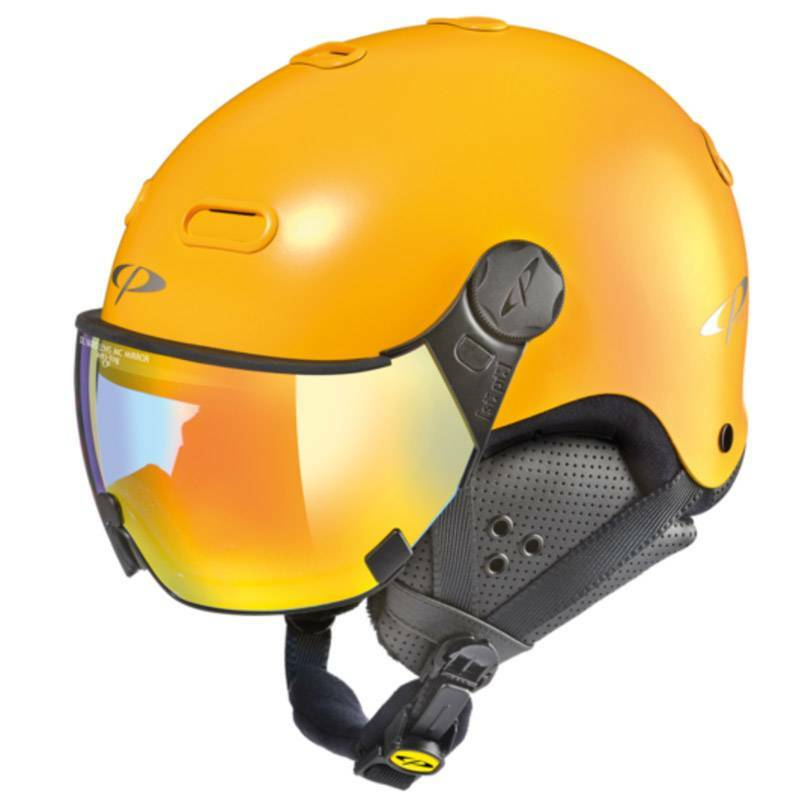 Even in times of digitalized work processes, manual craftsmanship by experts is indispensable. 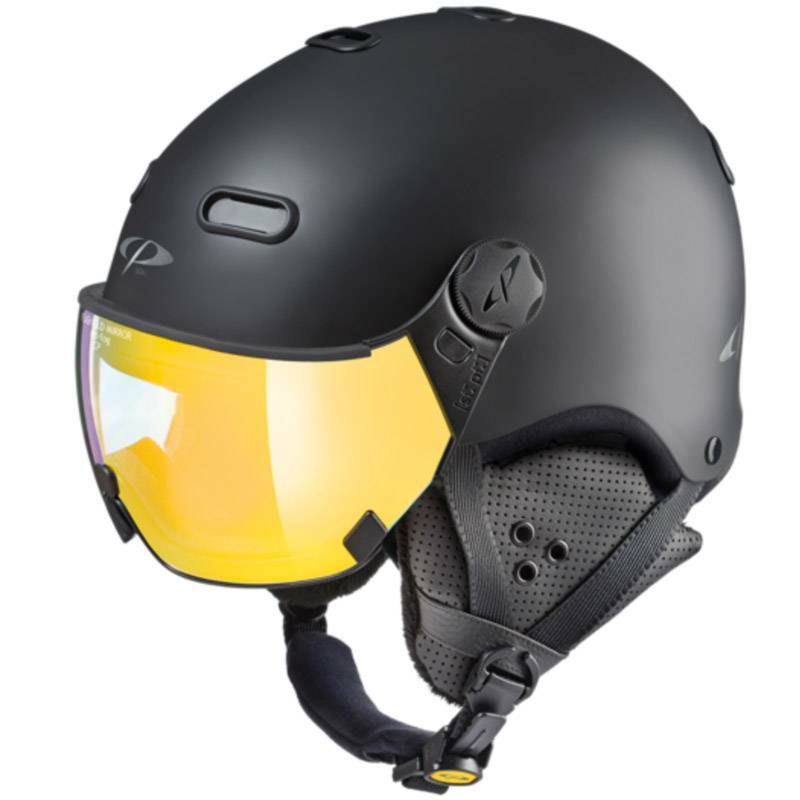 For the fabrication of a fit, Roberto the lead designer at CP uses a chisel, sandpaper and hundreds of hours. 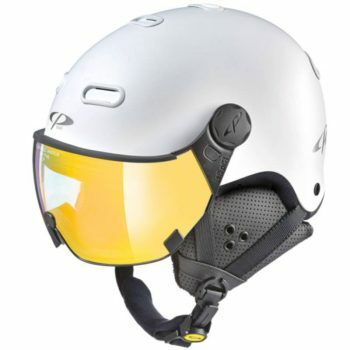 This hunger for perfection pays off, as the fit of CP helmets is unparalleled. The CP Cuma helmet is perfect at the moment you’re no longer aware of wearing it. 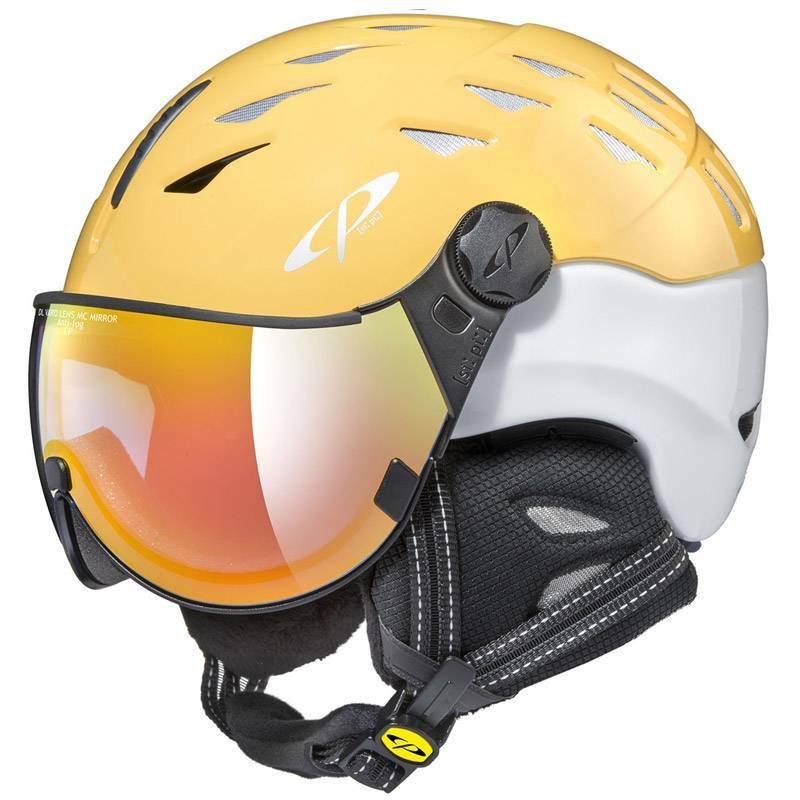 You know an excellent visor ski helmet by not being aware of wearing it.“ CP has decades of experience in ski helmet technology. 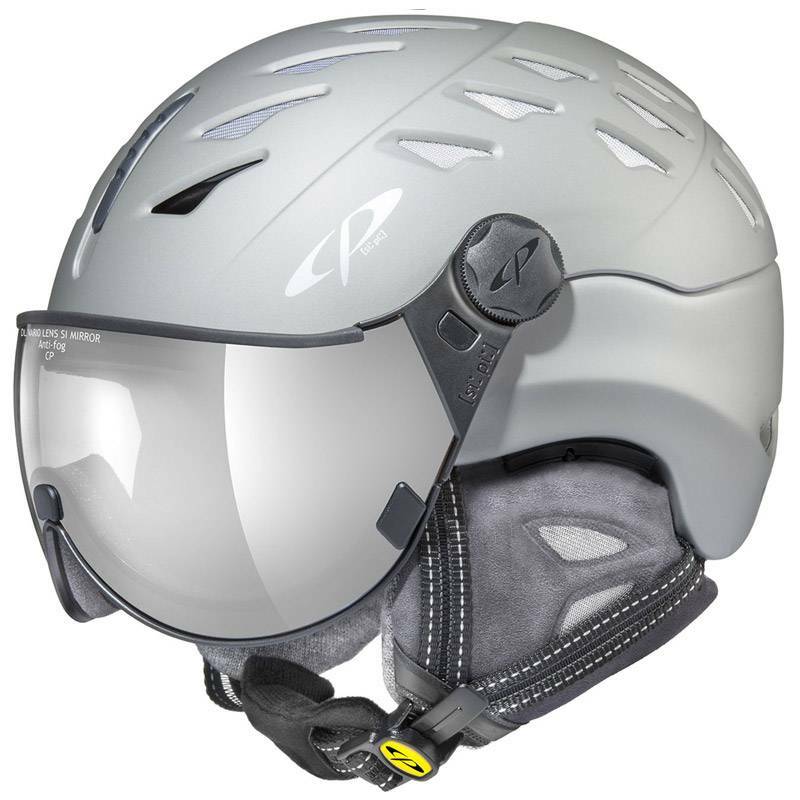 Continuously seeking improvements and relentlessly striving for perfection has made us strong and characterizes all CP helmets. 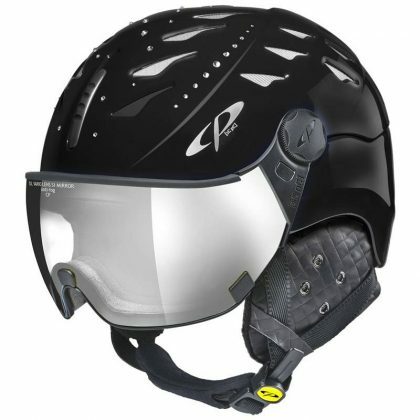 The Visor Ski Helmets by CP provide a maximum in innovation, safety, comfort and fashionable flair. 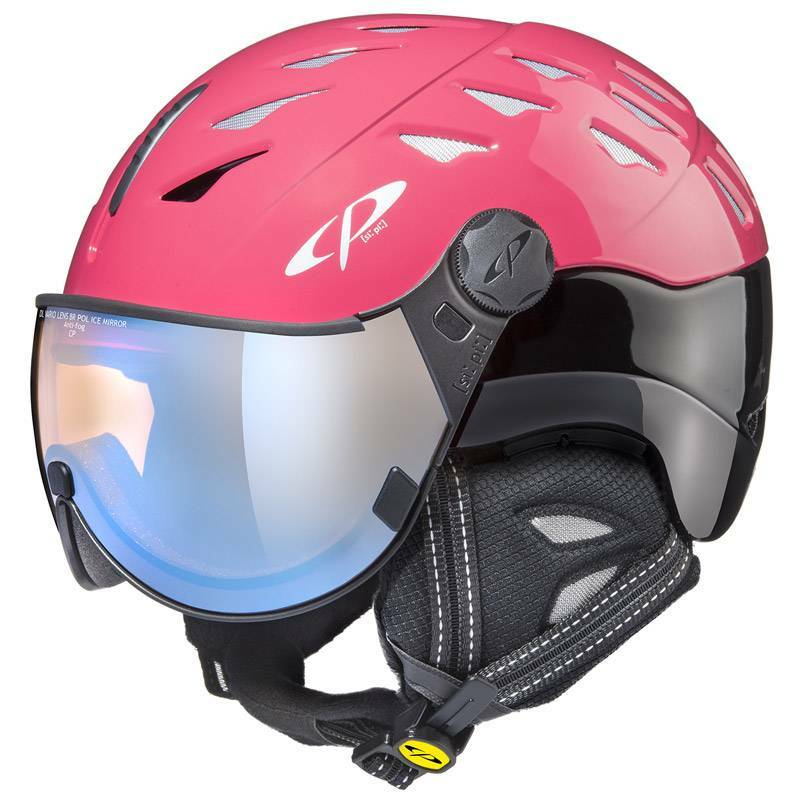 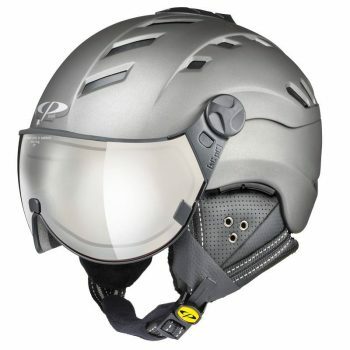 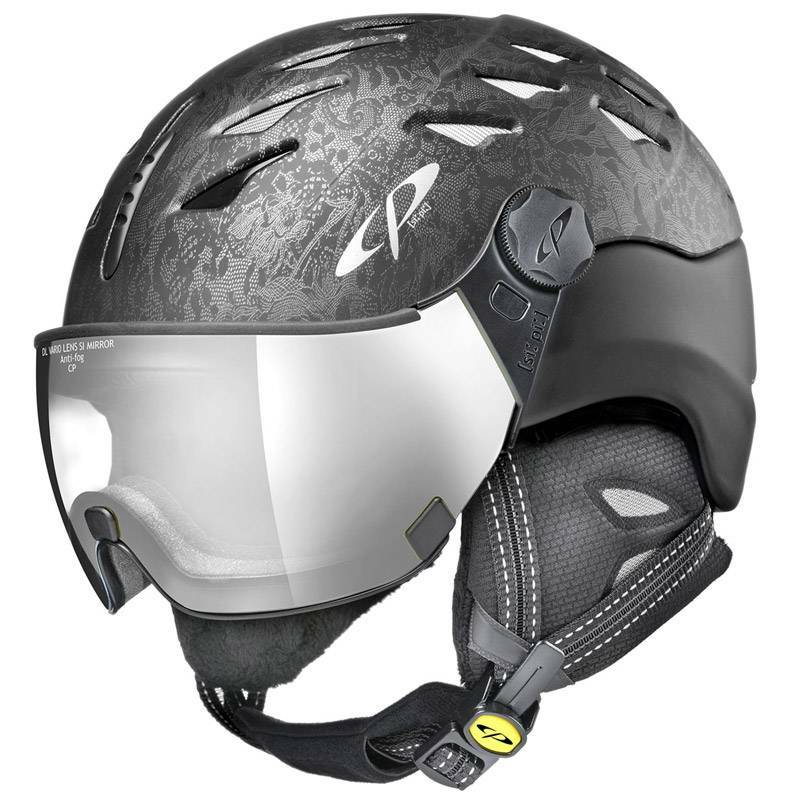 But not just a pretty face, the CP Cuma is loaded with all the features you expect from the other visor ski helmets in the collection, including the size adapting system for the perfect fit, the controllable air system for just the right comfort, and removable ear pads that gives this helmet even more versatility. 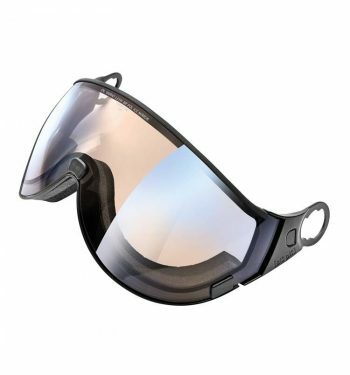 The CP Cuma 374 Swarovski Stones comes with a DL (Double Lens) Silver Mirror visor, but can easily be changed with any of the CP Visors. 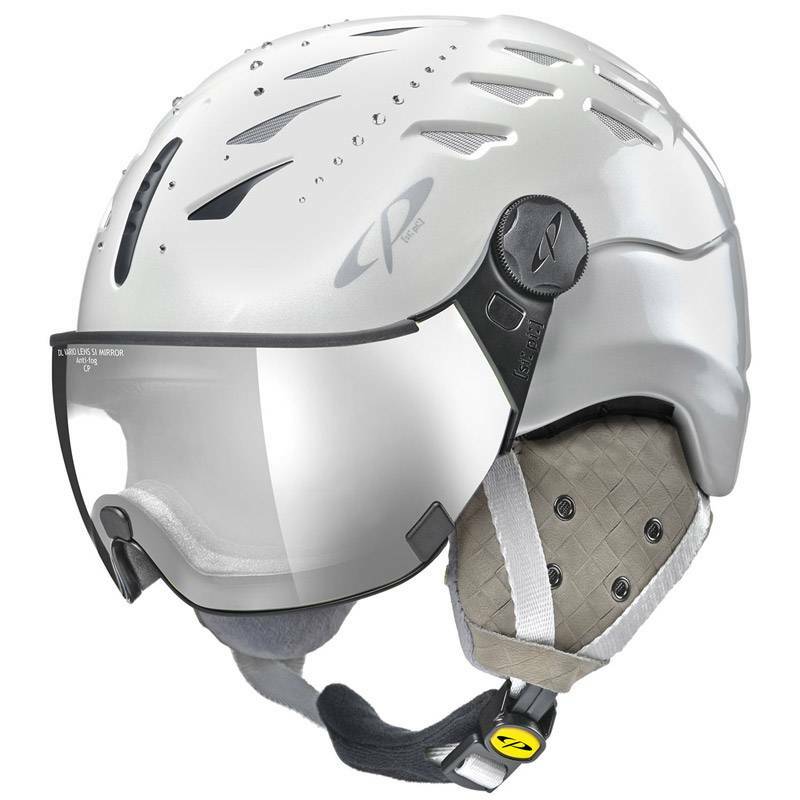 The Cuma visor ski helmet has thus evolved from mere accessory to veritable headwear with the addition of the stunning Swarovski Elements.